We begin this month's issue with a report on blackjack playing conditions at the Green Valley Ranch and Fiesta Henderson casinos located south of the Strip in Henderson, NV (read about the good double-deck games at GVR). Stu D. Hoss visited the Venetian casino to review the new Stadium Blackjack installation (some good but mostly bad news on this new approach for playing blackjack at the Venetian). I'll bet many of you didn't watch the Super Bowl the way Joe Freda did; read his trip report to find out where he went. 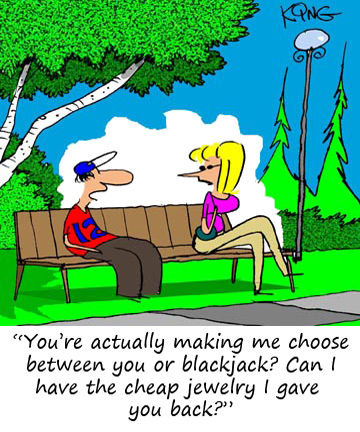 If you are planning to play blackjack in Europe, Radek Vegas gives you a heads up on the blackjack games in Malta. I've summarized what went down at the recent 2017 Blackjack Ball, the questions that were given to the pros competing for the title of World's Greatest Blackjack Player, and the 21-question test that were part of the competition. Paul Wilson reviews the correct way to play those pesky soft hands, while in my article "What went Wrong," I answer a question from an agitated basic strategy player who lost $500 after reading and following the advice in my Blackjack Take The Money and Run book. Our resident blackjack dealer/supervisor Ariande gives examples (from his experience) of what casinos do when they suspect a player is card counting. Jerry "Stickman" continues his interesting series on the history of the Tunica casinos (see the photos in the article of the devastation to the Tunica casinos after the great flood occurred), and John Grochowski answers players' questions dealing with the playing strategy for Double Double Bonus and Triple Bonus video poker, and another on the Five Card Charlie rule in blackjack. We have the 2017 edition of this all-time best-selling book in stock at a special price for BJI subscribers. 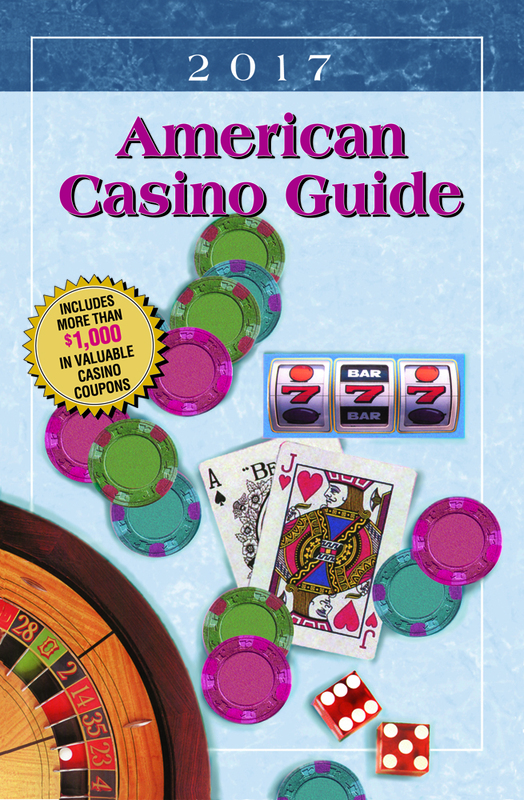 This book not only contains a comprehensive listing of more than 700 casinos with all of their amenities plus gambling tips from some of the best writers, it also contains more than $1000 in valuable casino coupons to save you money in 2017. Click here to read about the book, including a list of the coupons it contains, and how to order at a special price. Blackjack Tournaments are making a gradual comeback in many casinos across the US; therefore, this month's spotlight article is one written by tournament pro Joe Pane (that appeared in issue #113) that offers advice on making deals in blackjack tournaments. "This month I travel to Henderson to check out the blackjack action at one of my favorite casinos, Green Valley Ranch. I also took a look at the gaming options at Fiesta Henderson on Lake Mead Parkway. Here's what I found..."
"In this article, I'll attempt to explain the new game called Stadium Blackjack and how it's played. I'll also share my experience at the Venetian and my thoughts on this game..."
"After my visit to Costa Rica this past August, I laid low for a while and looked ahead to Super Bowl weekend for my next gambling strike. Most would think sports gambling's biggest event would be best spent in Las Vegas, but I headed to Hard Rock Punta Cana in the Dominican Republic for sun and fun instead..."
"There is a small country where a lot of online casinos are located due to low-cost taxes. It's sunny and warm even in European winters and there are inexpensive flights and hotels. I'm talking about Malta! Here's what I found at the casinos..."
"For the 21st consecutive year, Max Rubin hosted the Blackjack Ball at a secret location in Las Vegas. Here's a summary of what went down at this historic Ball with special guest..."
"This month I'm going to discuss the right way to play those pesky soft hands..."
"This article focuses on real-world examples of counters being caught..."
"I recently received this question... I went to Las Vegas last weekend and played blackjack using the basic playing strategy in your book. I played every hand exactly the way your books says to, and I wound up losing $500. The least you can do is refund the money I paid for your stupid book..."
STICKMAN'S STANCE: THE HISTORY OF THE TUNICA CASINOS-Part 4 by Jerry "Stickman"
"This series of articles contains a look at current casino conditions in Tunica County against the backdrop of the history of casinos in the area. This article covers Tunica from the devastating flood of 2011 to the present day..."
"John Grochowski answers readers' question dealing with a playing strategy for Double Double Bonus and Triple Bonus Poker, and the "Five Card Charlie" rule in blackjack..."